Adding a little chocolate to a cocktail makes for a delicious, dessert-like drink. However, not all chocolate cocktails are sweet and frothy confections, although some most definitely are. With the right chocolate cocktail recipe, you'll find there's something for everyone. 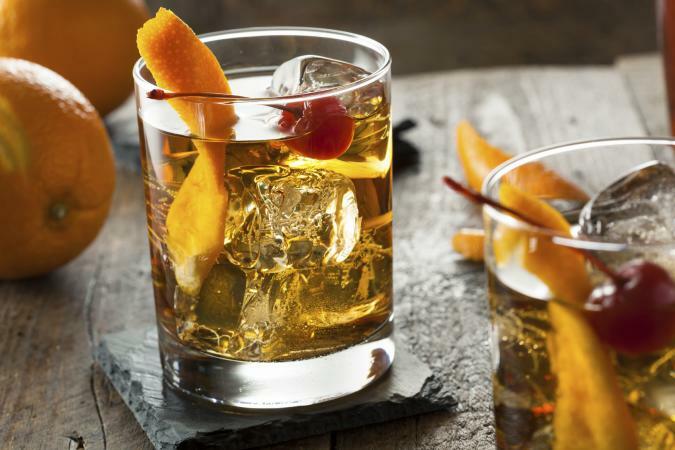 An old-fashioned is a classic cocktail. This chocolate twist is lightly sweet and complex with the addition of chocolate bitters. The recipe makes one cocktail. Put the sugar cube in an old-fashioned glass. Add three to four dashes of the chocolate bitters and the orange twist. Muddle the ingredients in the glass until the sugar is crushed and the orange twist releases its oils. Add the bourbon and a splash of water. Stir. Add ice cubes to preference. Garnish with the cherry. For an extra-special garnish, consider a bourbon soaked maraschino cherry. 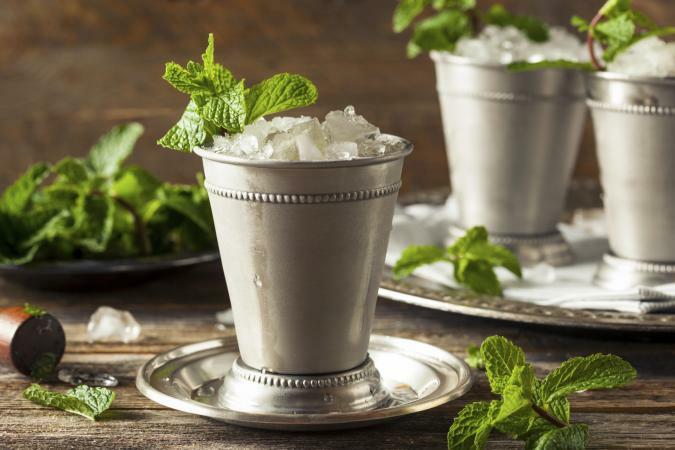 The trick to a tasty mint julep is plenty of finely crushed ice. To make it, you can place ice in a zipper bag and whack it with a mallet until it is finely crushed. This chocolate twist on the Kentucky Derby classic makes one drink. It gets its chocolate flavor from chocolate mint. In a julep cup (or a double Scotch glass or another 8-ounce short glass), muddle the sugar, mint, and a splash of the club soda. Gently stir in the bourbon. Add the crushed ice and remaining club soda to fill the glass. Stir gently again. Garnish with a sprig of chocolate mint. If you'd like a version with even more chocolate, add a half ounce of white creme de cacao when you add the club soda and ice. 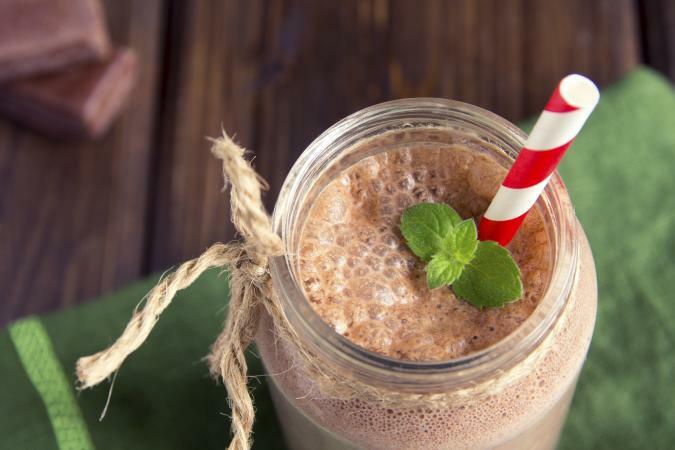 If you ever had a chocolate malt with a burger, then you'll love the nostalgia of this tasty cocktail. It uses delicious RumChata, a cream liqueur with rum. The recipe makes two drinks. In a blender, combine all ingredients until well blended. Add additional milk to thin to the desired consistency. This isn't your grandmother's hot chocolate - unless grandma enjoyed hers spiked with some cayenne, a bit of cinnamon, and a nice shot of tequila. 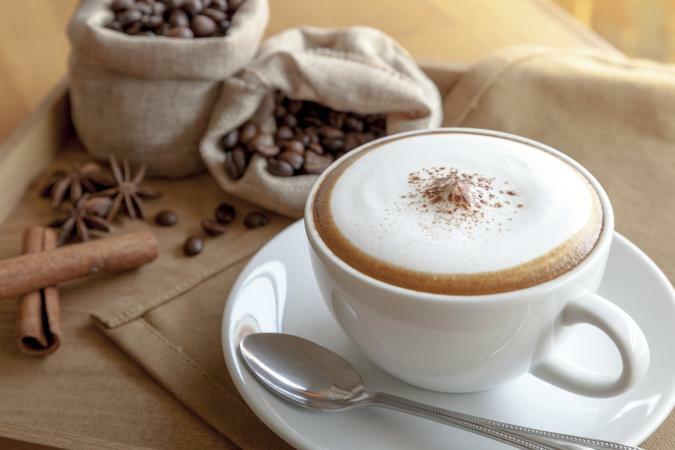 This warming drink will leave you wanting more. The recipe makes two drinks. In a small saucepan, heat the chocolate, milk, sugar, cinnamon, cayenne, and vanilla on medium-low heat, whisking constantly. Bring to a simmer. In two mugs, add an ounce of tequila each. Add the chocolate mixture and stir to combine. Serve topped with whipped cream and garnished with additional cinnamon sprinkles if desired. While no strawberries are actually covered with chocolate in the making of this drink, the flavor brings to mind this delectable combo. Of course, you can feel free to garnish with a chocolate-dipped strawberry if you're feeling super fancy. The recipe makes one drink. 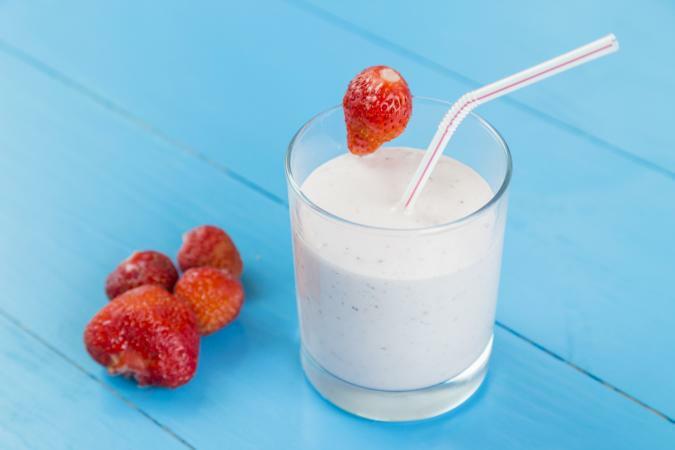 In a small glass, combine the creme de cacao, strawberry liqueur, and cream, stirring to mix well. If you're looking for straight-up dessert in a glass, then the mudslide may just be your drink of choice. Made with Kahlua (or another coffee flavored liqueur), vodka, cream, Irish cream, and chocolate syrup, this is a twist on the chocolate-free classic. The recipe makes two drinks. In two large wine or cocktail glasses, drizzle one tablespoon of chocolate syrup and swirl the glass to distribute it around the inside edge of the glass. 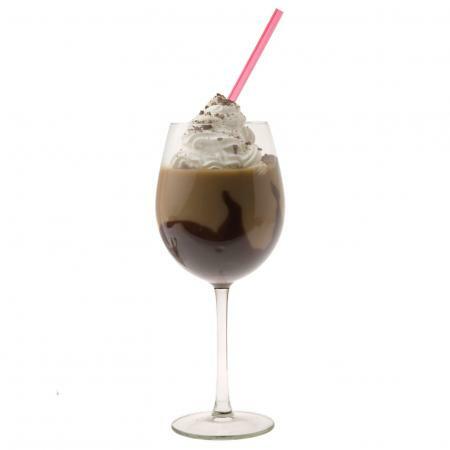 In a blender, combine the vodka, Kahlua, Irish cream, heavy cream, creme de cacao, and ice. Blend until smooth. Carefully pour the mixture into the prepared cocktail glasses. Garnish with whipped cream and chocolate cavings or cocoa powder if desired. Make yourself a quick and easy shot with a flavor reminiscent of the favorite cake flavor. This recipe makes one shot. 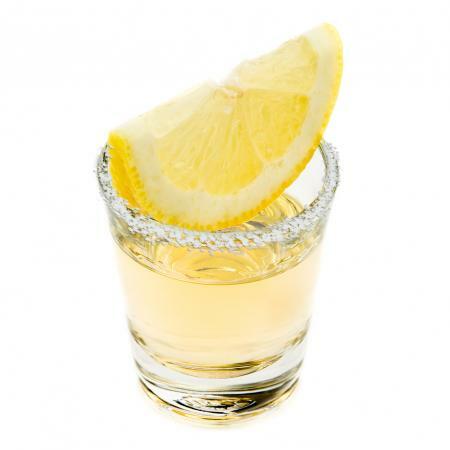 Rim a shot glass with lemon and dip into sugar. Set aside. Pour hazelnut liqueur and vanilla vodka into a shaker with ice. Sweets-loving sophisticates know there's absolutely no way to go wrong with a chocolate martini. Made with vodka and chocolate, this drink is lightly sweet and oh-so-chocolatey and easy to vary to your tastes. Plus, you get to walk around like James Bond carrying a martini glass. What could be better? If you love chocolate, then you'll love these spiked chocolate beverages. 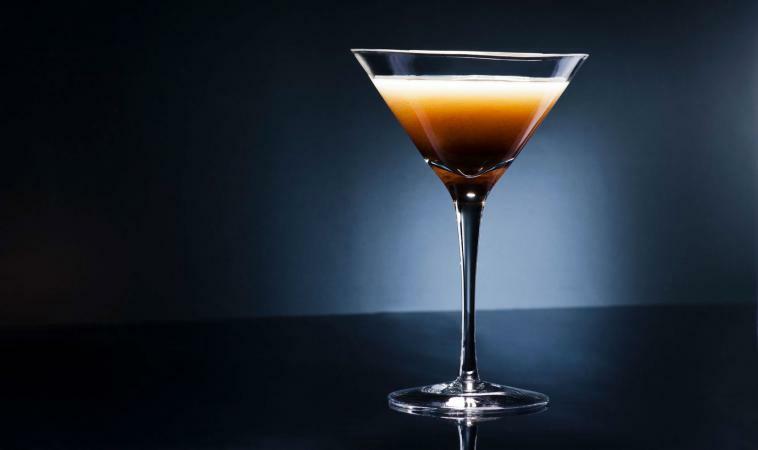 Regardless of whether you're seeking a drink that's a full-on dessert or something a little lighter, you're sure to find the perfect chocolate cocktail for your tastes.